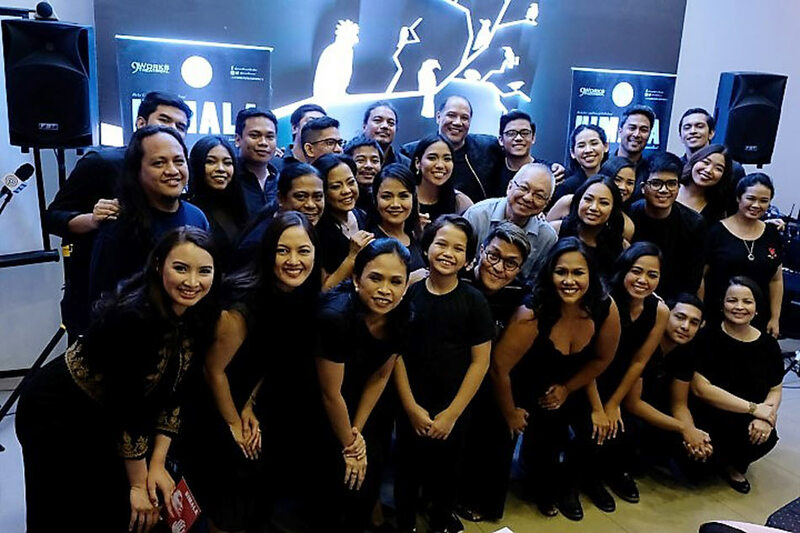 MANILA -- 9 Works Theatrical and The Sandbox Collective are taking theatergoers back to Cupang with its production of "Himala," the musical based on the multi-awarded Nora Aunor movie, which opens on Saturday at Circuit Makati. Written by Ricky Lee and directed by Ishmael Bernal, "Himala" revolves around barrio lass Elsa who claims to have the power to heal after seeing the Blessed Virgin Mary. As Elsa’s fame spreads, the faithful masses descend on Cupang and unravels the simple barrio’s moral foundations. “The film may have been released over three decades ago, but its themes of collective hysteria, greed, and compromised moral standards still stand today,” noted "Himala" director Ed Lacson Jr., adding that the stage production will be more intimate than the movie. For Lee, who recalled the difficulty of hiring a cast of hundreds for the movie's iconic crowd scenes, the big difference between the movie and the play is that the stage version is smaller, more intimate and more honest. 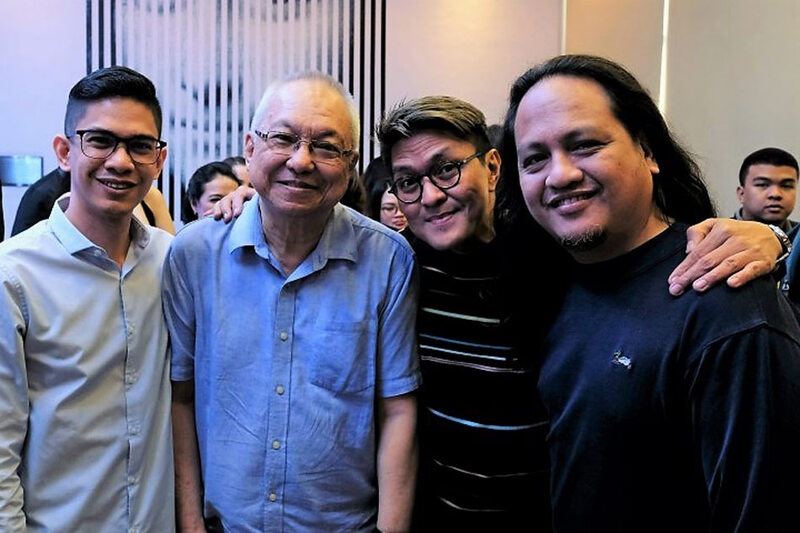 "Himala," the musical, with music and lyrics by Vince de Jesus, who also co-wrote the book with Lee, was first produced by Tanghalang Pilipino way back in 2003. It was restaged in 2004 in a bigger venue and was the Philippine representative to the Shanghai International Theater Festival in 2008. In 2013, the musical was re-imagined as a concert to celebrate its 10th year anniversary. For 9 Works Theatrical and Sandbox Collective, it was but right to restage "Himala" on its 15th anniversary. "Himala: Isang Musikal" is the first collaborative work of the two sister companies. Sandbox Collective brings its indie theater sensibilities from staging edgier plays like "Dani Girl" and "No Filter," while 9 Works brings polish and experience from their successful showstopping productions of "Newsies," "American Idiot," and "A Christmas Carol." The cast is led by Awit awardee Aicelle Santos as Elsa, whose visions are the central part of the musical’s events. Kakki Teodoro, better known as Ate Maya of "Batibot," plays Nimia, Elsa’s seemingly moral opposite who comes back to Cupang and takes advantage of the town’s visitors lusty desires. Neomi Gonzales plays Chayong, Elsa’s right-hand woman, while Sandino Martin is Pilo, Chayong’s former lover who becomes mired in the resulting mess of Elsa’s fame. David Ezra plays Orly, a journalist from Manila who comes to document the phenomenon. Lacson is no stranger to 9Works Theatrical and Sandbox Collective. “I like 9WT and because their circle is the young crowd,” he noted. And he is delighted to bring his vision of the musical to a new generation of theatergoers. “The first time you watch 'Himala' will always be imprinted in your mind. I am lucky to be doing this with the resources of the book, film and three stagings, and find my own voice,” he said. Lacson added that he wanted to make this musical simpler. Since the venue -- the Power Mac Center Spotlight in Circuit Makati -- is small enough, the cast to do away with microphones and lapels. As such, the senakulo operatic music would be powered by the performers' raw voices backed by a single piano. Lacson is also relying on blocking alone to tell the story. A multimedia exhibit and performance art at the theater lobby are also expected to supplement the "Himala" experience. "Himala: Isang Musikal" promises to be a spiritual, and grounding experience. "Himala: Isang Musikal" opens on February 10 and will run until March 4 at the Power Mac Center Spotlight, Circuit Makati.